Can a Tex-Mex survive the Chennai heat? Hard to tell. Habanero, with quite decent food didn't survive. It really didn't do much wrong. OK, service was close to pathetic, but reviews in forums were thrashed. And anyone who dared to write something good about it was also thrashed. Honestly, service and attitude let them down, but the food wasn't bad. And the complaints were all about the food. So Tex-Mex and Chennai? Welcome Chili's. I hope you survive this one! So, the ambiance is a lot more happening and the music is nice and reflects the cuisine to a large extent. 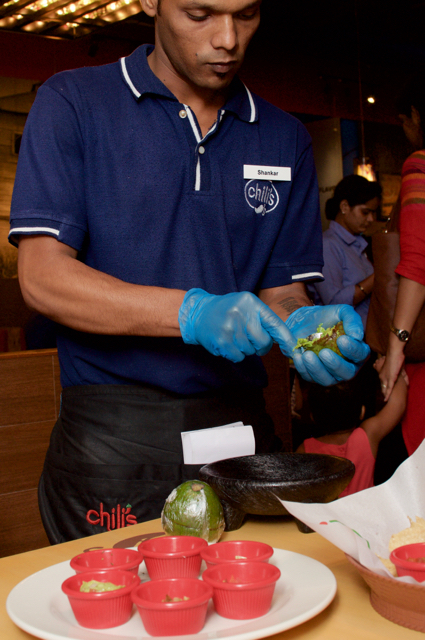 Chili's is in general more Tex than Mex and the Mex flavours are more of a foreplay. 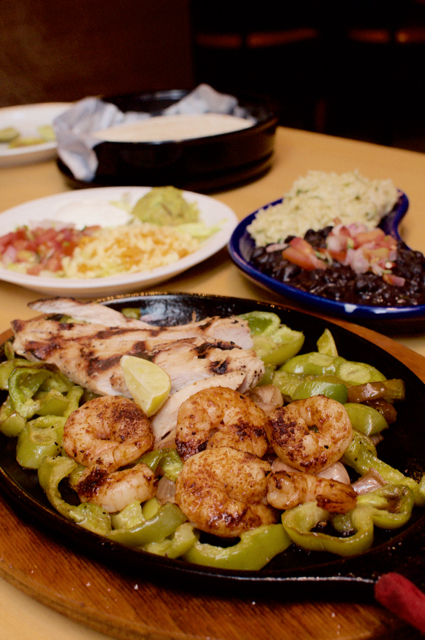 It is outwardly American and proud of it, so don't expect Mexican flavours to bombard your taste buds. Clearly, the person who made our Guacamole on the table didn't do a great job. 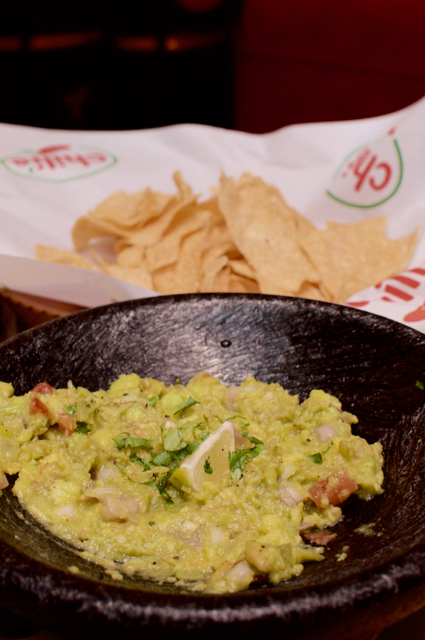 Clearly the chef in the kitchen knows how to make a Guac. So our on-the-table guac wasn't any good. We returned it and the one that came from the kitchen was more like it. Nachos. Bang on. Guac. On. Bring the rest on! Glad they have the mix and match for starters, so you can take a pick of 3 or 5 starters from the page of a combo price. 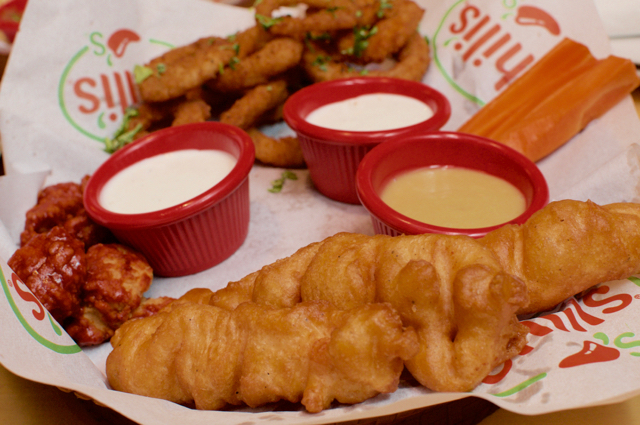 We picked Boneless Chicken Wings, Chicken Strips and Onion Rings. Chicken wings were tangy. Really tangy and I loved the flavours but missed celery sticks along with it. Would have been great. The chicken strips were large compared to most quick service places like KFC, but the onion rings are something that you may like or hate. I din't like it so much, my friend who came along loved it every bit. It is thick and flat and the batter is thick and there is more flour and batter than onion. I prefer the golden crispy ones! Drinks were large. 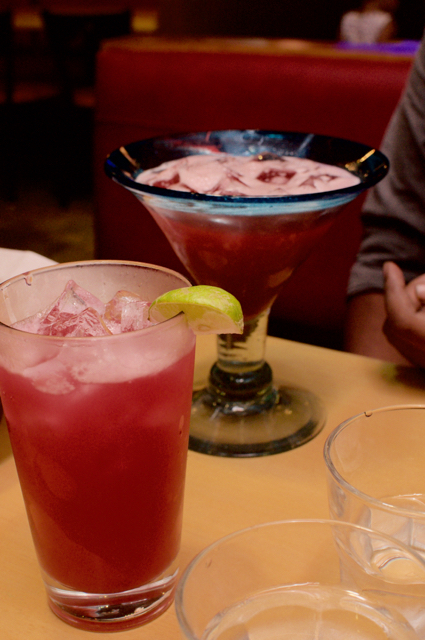 All mocktails, obviously, but large portions. My pomegranate margarita was yum while my friend refused to share his. I won't know why, but will have to go back! My friend who had the baby back ribs could not stop raving about it for a couple of days. I will leave it at that as I have no idea what it is. Since he wanted to have that, I had to order my own main course and between the burger and the fajita, I chose the latter. For Rs. 195 extra, the black beans and the rice add a lot more flavour to the fajita considering that these are not corn tortillas but flour tortilla. So with the add on beans, the guac, the rice and the grilled meat, the fajita was complete. I forgot the name of the cake we had, but it was heavenly. 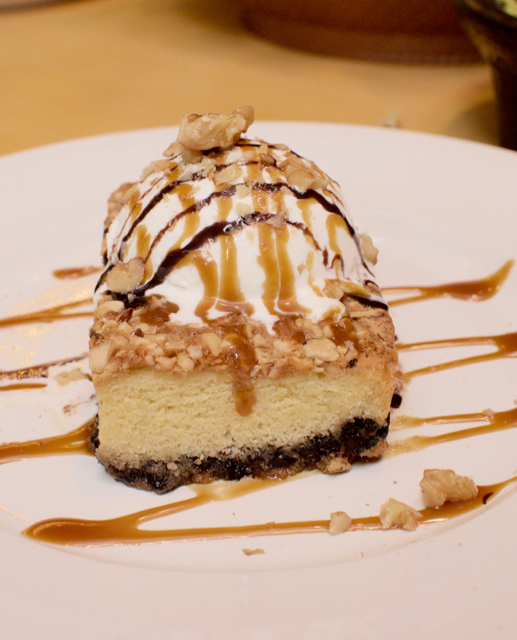 Creamy, crunchy and soft across the layers, this was a fitting finish to the meal. I want to go back and try the steaks and their burger!!! Express Avenue finally has an a real restaurant with great music!!! Meal for two will cost about Rs. 1500 but considering the portion size, a meal for 4 should cost your about Rs. 2500.